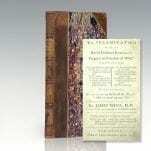 The "Examination of the late Rev'd President Edwards's Enquiry on Freedom of Will," Continued. The “Examination of the Late Rev’d President Edwards’s Enquiry on Freedom of Will,” Continued. New Haven: Printed for Thomas and Samuel Green, 1773. 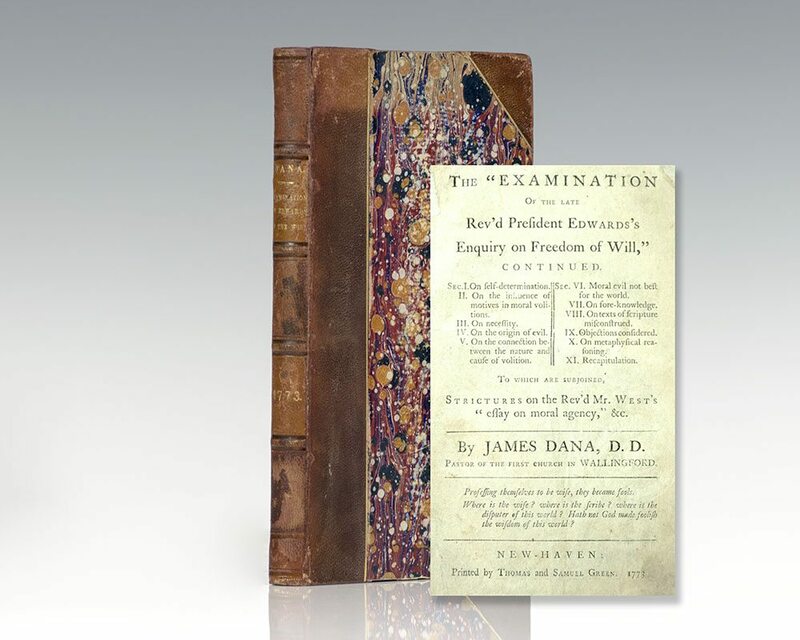 First edition of American Protestant clergyman James Dana’s second published response to Jonathan Edwards’ Inquiry into the Modern Prevailing Notions of the Freedom of the Will, preceded by Dana’s prior examination of the same subject published anonymously in 1770. Octavo, original three-quarter period calf over marbled boards, gilt titles to the spine, morocco spine labels, raised bands. A rare and desirable example illustrating the tensions that shaped the Evangelical Revival in eighteenth century America. Widely regarded as "one of America's most important and original philosophical theologians," American revivalist preacher Jonathan Edwards' theological work was firmly rooted in Reformed theology. In his major work, The Freedom of the Will, Edwards argued that although humanity possesses free will, they are inherently depraved and bound to sin, and therefore require divine guidance and grace. 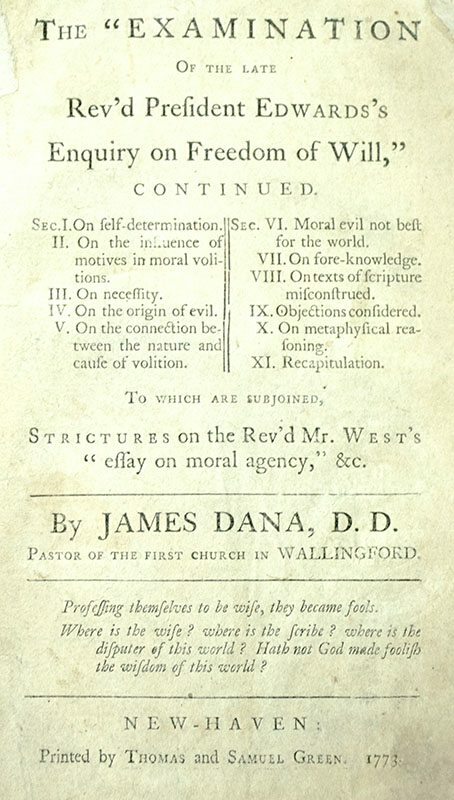 Regarded as inclining to Arminianism, fellow Protestant clergyman James Dana first came into conflict with Edwards when he was ordained and and made pastor of Congregational Church in Wallingford, Connecticut. 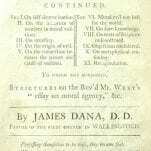 Dana published his first Examination of Edwards' The Freedom of the Will anonymously, in his continued Examination, which revealed him as the author of both works, Dana argued against Edwards' "denial of moral, rational liberty; his distinction of natural and moral necessity, [and] attributing the origin of evil to the want or withdraw of divine assistance."